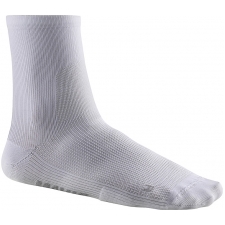 These 15cm mid-length socks can make a real difference to your performance: they’re incredibly light thanks to a special open mesh construction over the top of the foot. 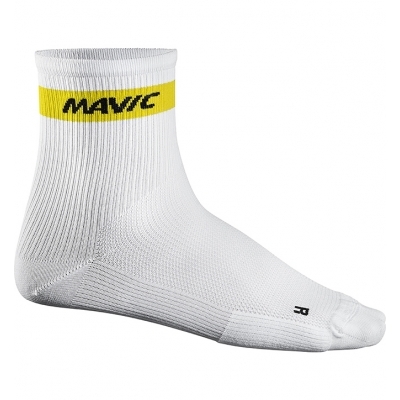 They also integrate with our Mavic shoes. And they keep you comfortable all ride long – so when it comes to that final push you’re never held back by sore feet. This exceptional comfort comes from a combination of features: Soft Meryl® Skinlife fibre maintains the natural balance of the skin. Special silver ions control odor and provide microbial properties. 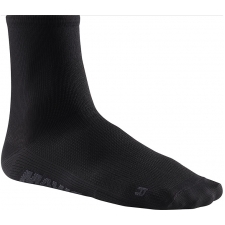 The reinforced toe and the terry-knit on the metatarsal add cushioning for full-tilt pedaling. Plus there are specific left and right fits and flatlock seams in the toes. 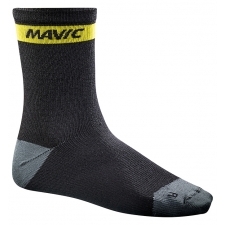 Buy your Mavic Cosmic Mid Socks from CannondaleSpares.com.